Your snowmen are the cutest things! I love your snowmen. They have the cutest face. Is the colored pencil workshop for next week still available to sign up for? Hi Kim! If you are referring to the Jack O Lantern on a Vintage Scale…the RSVP date has passed, but if you have all the pencils we most certainly would love to have you! Email classicamyjoanne@gmai.com of you are interested! Thank you! Amy, do you think that you will offer Santa with Crock painting as a pattern packet someday? I love this design. Thank you. for the Sweet Treats Christmas club. Thank you Rochelle! all signed up! Hi Carol…..click onto the blog tab and you will see the follow button to click on…..on this page are all the blog posts to view….lots of ideas! Please help me find your directions for making the paper that you use for pencils. Thank you very much! I LOVE the way your paintings look! I want to view your blog zbout how to use color pencils. Although I took a class from you almost two years ago I need a refresher. sure thing…click onto the blog tab, then you will see the duck post….click onto the duck post and the video is there….enjoy! Thank you for stopping by! Hi Janice! Enjoy creating, happy to have you for a creative friend! To follow along just enter your email address in the follow box and click send….it is on the blog page….Enjoy! Can’t come to your classes in person, would love to join any thing you have on line. Thank u! Keep watching the blog posting, every now and then I have a free pattern with a short video! I definitely want to sign up for The Bakery classes & interested in receiving all related info. Hi Amy! Hope all is well! I wanted to sign up to get notified. I dont know what changes are coming wirh facebook. Thank you Debbie….all we need you to do yet is click onto the ‘tab’ ‘blog’ and then on the right hand side enter your email address and click ‘follow! Thank you so much….enjoy the blog! Thank you so much! Love all my Artists friends and mentors! Thank you for the visit…enjoy! I saw your post on FB. Very interesting. Thank you, enjoy the visit, click around! Love your stuff Miss Joanne. Thank you so much Suzanne! You are all awesome! Can’t seem to open anything, I thought I was on your list if not please add me. Thanks. Thanks went there and I’m already following you, just have to figure out what I’m doing. Sorry. Please add may name to act of kindness. Hi Judy….feel free to print the download and enjoy the gift tags for your Christmas giving! I just found you and these are really cute designs! Hi Peggy! Check out the workshop page for photos….11/29 is the tin angel chalk art workshop and then 12/13 is the gingerbread chalk art workshop! I will be posting soon a complete calendar of dates for 2018 filled with Wood Canvas Painting, Colored Pencil Workshops, Brush N Hand Studio Projects and of course the Chalk Art! The calendar is full and I certainly hope to see you! Happy Creating! you just made this girl smile! What a nice compliment. I try to give what I would like to receive….Thank you so much! Enjoy! Thank you so much…your comment makes me smile! The Art that I create is Decorative Art, I create the piece, then put out the pattern to follow to create the piece yourself, whether in pencil or paint….the pattern has a supply list, instructions, a line drawing and many photos to help along the way….I do occasionally sell my duplicates from the classes I teach…they can be found on the ‘Samples and Duplicates’ tab! This will be updated to include more after the Holidays. Also…if you follow along on the blog there are a few free patterns to click onto and print, this will give you an idea of what a pattern is! Also…there are a few how-to videos too! Stop by often…always new things in the works! Beautiful work…thank you for the invite…I will put an item in my SDP Chapter newsletter. Thank you so much! Love Decorative Painting and all the friendships! So excited Jeannine! I love to get friends hooked! Looking forward to creating together again! Welcome to our world! HI Diane! Thank you so much! Love all your unique designs !!! Thank you so much! You know how to make a girl smile! Stop back often…always something new and fresh in the works! Hi Janet….I just sent you a quick email! Thank you Janet for your kind comment….this was so much fun to share our love for painting! Enjoy! Your ornament is just beautiful! Thank you so much….enjoy painting! Thank you so much for visiting….Enjoy painting! Glad to have you follow along! Thank you for sharing your ornament design..
Amy, you are so talented. Your patterns are great. Amy, you are so talented. You patterns are great. 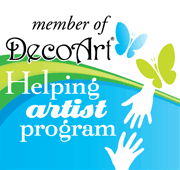 Thank you so much Bernice…so happy to have you as a creative friend! Beautiful ornament. Would love to try and make them. Thank you Ellie…..see you in class soon! Enjoy! Thank you Sally! 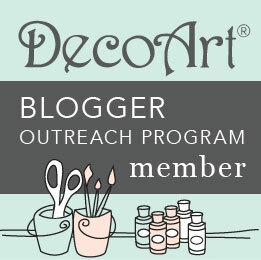 If you haven’t already, be sure to add your email to the blog page to receive instant updates! Thank you Teresa….so happy you enjoyed it and Thank you for the visit! Thanks for providing painting instructions also. Thank you for visiting! Be sure to add your email address to the blog page for blog post updates….lots more to come! Love your style and creativity! Thank you Susan! Lots more planned for the upcoming Christmas season….Enjoy! Check out the video on my dry-brush technique and go for it! Any questions…just message, I will be happy to answer! Thank You Charlene! I will be blogging about it soon! Thank you Kathleen! I wish all my creative friends lived close by….we would have such fun! Need some info on membership!! !